What types of resources do you sell? How do I get my resources after I make a purchase? What if I didn’t receive an email with my download link? What if I receive my purchase email, but the files won’t download? What if I am unable to print a resource? Can I share a resource I purchased from Teacher Thrive with another teacher? How do I purchase multiple licenses for a resource? Can I exchange or return a resource? All of the resources in the Teacher Thrive shop are digital downloads. We do not sell or ship hard goods. File Type PDF: Most of the files are PDFs, which require the latest version of Adobe Reader to properly view and print. File Type ZIP: Resources that contain multiple files will be delivered in a ZIP file. Both Windows and Mac OSX are able to open and uncompress ZIP files without additional software. iPhones and iPads will require an additional app. After you have completed a purchase, you will immediately receive an email with download links to your purchase. If you do not receive this email, please check your “spam,” “junk mail,” or “promotions” folder. School email accounts will often block emails from unfamiliar addresses, so consider using a personal email account to ensure delivery. You can also add [email protected] to your contacts to avoid not receiving emails. This is a common issue when trying to access the files from a school computer and network. Many school firewalls block downloadable content from cloud storage databases where files are stored. Please try from a personal or public computer/network. Large files may not download on phones and tablets. If you are unable to access your files from one of these devices, please try on a computer. For PDFs, please make sure you are opening the file in the latest version of Adobe Reader. Also, if you’re using a school computer, keep in mind that some schools have downloading restrictions. If you’re having problems opening a file at school, you should contact a network administrator or attempt to download and open the file from your home computer. Some PDFs with a lot of graphics may look fine on your screen, but may not print out correctly. All of your purchases are available in the Orders section of My Account. No, please do not share resources you purchased with other teachers for free. Your purchase includes a single license just for you. If you would like to share a resource, please purchase additional licenses at a discounted rate. You can purchase additional licenses by clicking on “Buy Licenses to Share” button. This option allows you to enter recipients’ email addresses so they can access the files. You can also add additional licenses to products in your cart by changing the quantity. Once an initial full-price license has been added to the cart, all additional licenses are 25% off. BYOB stands for Build Your Own Bundle. This feature allows you to create your own bundle by choosing the exact resources you need within a product category (math tiles, grammar units, spiral reviews) while receiving a discount. When you qualify for BYOB, the discount appears in your cart. Details for the various BYOB discounts are explained in the product descriptions of qualifying resources. Purchase 10 or more sets, and the price of each set drops from $7 to $5. This discount applies to digital math tiles, printable math tiles, or a combination of both. Grammar units from all grade levels qualify for BYOB. This means that you are not limited to Building Your Own Bundle within a specific grade level. Since my grade level grammar bundles are already discounted, they are not eligible for BYOB. Since my Depth and Complexity bundles are already discounted, they are not eligible for BYOB. Spiral reviews and assessments for all grade levels qualify for BYOB. This means that you are not limited to Building Your Own Bundle within a specific grade level. Spiral review bundles do not qualify. Word analogy units for all grade levels qualify for BYOB. This means that you are not limited to Building Your Own Bundle within a specific grade level. Grade level bundles do not qualify. All of my Greek and Latin Roots and Affixes resources qualify for BYOB. 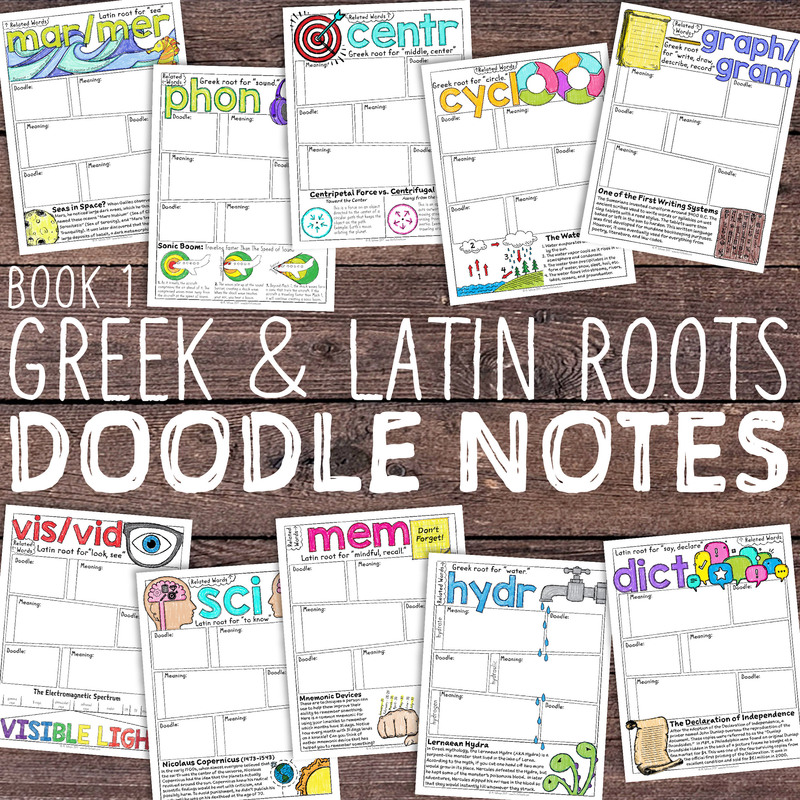 The Greek and Latin Roots and Affixes bundle does not qualify since it is already discounted. Thrive Credits are points which can be applied to future purchases to save you money. You will earn 1 Thrive Credit for every dollar you spend. Every 20 credits you earn equals $1 to apply towards future purchases. When you create a Teacher Thrive account, you automatically earn 10 Thrive Credits! Unfortunately, because these resources are digital downloads, exchanges and returns are not offered. Please make sure you thoroughly read the product description and examine the preview files and product thumbnails before making a purchase. Also, double check the items in your cart to ensure you haven’t added an unwanted item.